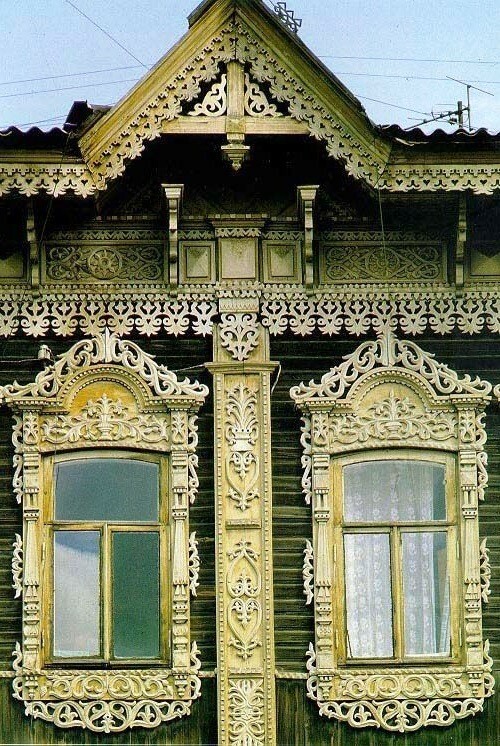 Wooden lace of Russian architecture. 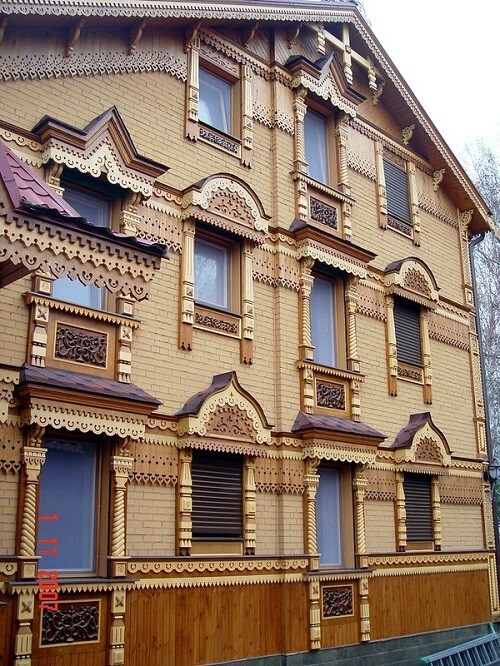 Natural building material in Russia has long served wood and clay. 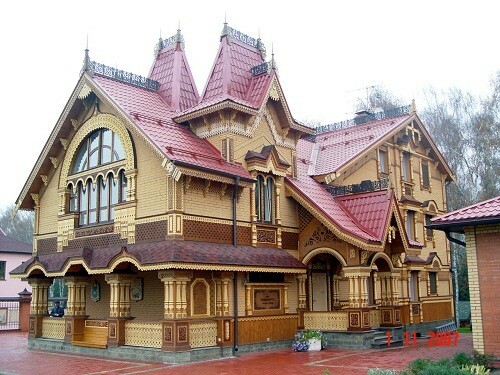 But if the bricks from clay appeared only in the middle of X century, the wood as the main construction material was used since ancient times. 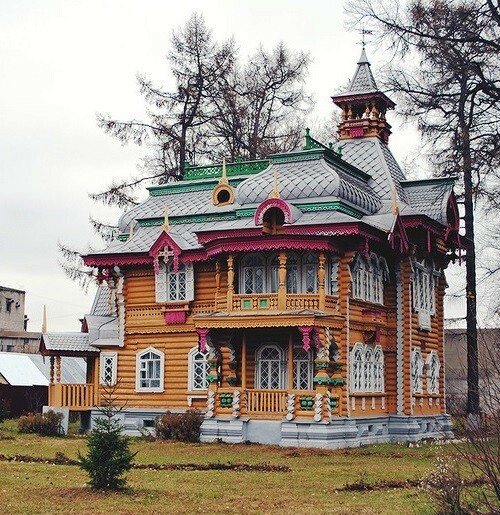 It is in Russian wooden architecture that architects have developed a reasonable combination of beauty and usefulness, which then passed into the constructions of stone and brick. 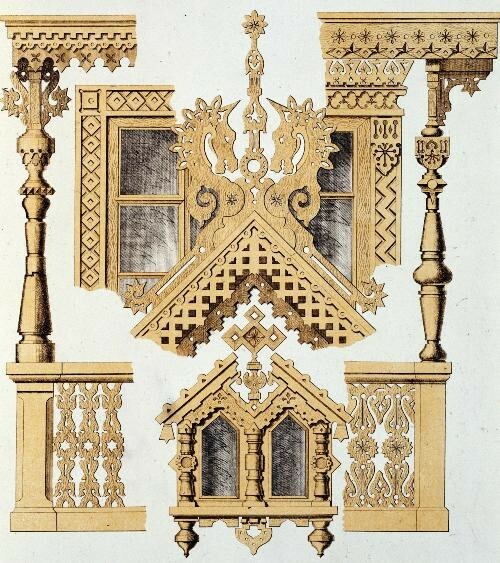 Many art and building techniques that meet the conditions of life and tastes of the people, worked out for millennia in wooden architecture. 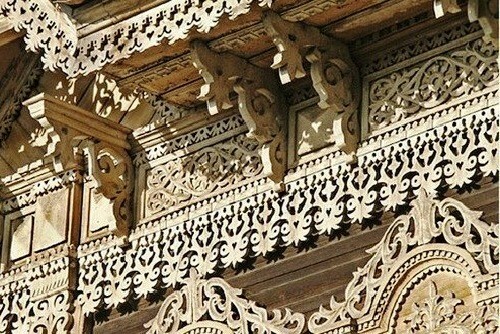 The outer parts of houses were richly decorated with wood carvings, motifs of which had a magical protective meaning. 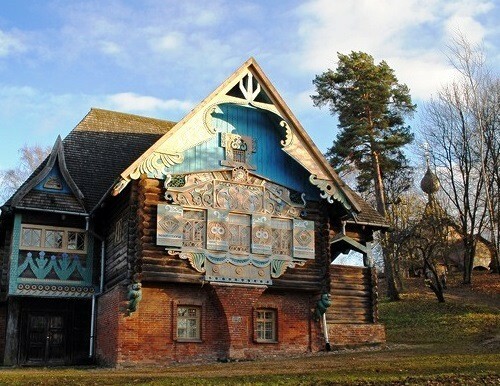 Talashkino (Smolensk region) became a cultural center, visited by great musicians, artists – Nicholas Roerich, S.V. 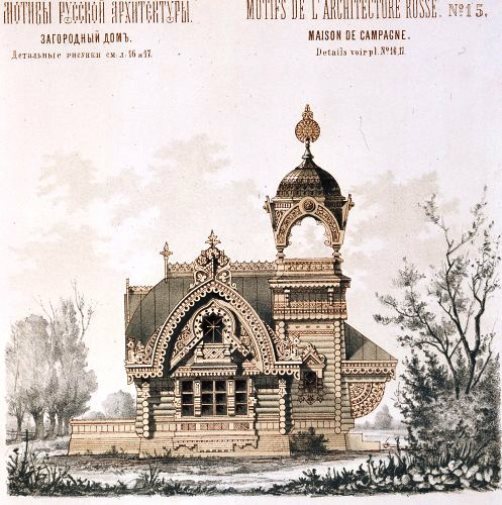 Malyutin, Alexander and Albert Benois, M.A. Vrubel, Korovin and others. 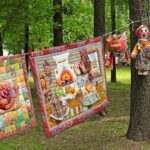 There was organized agricultural school for peasant children, craft workshops of carving, embroidery, ceramic. 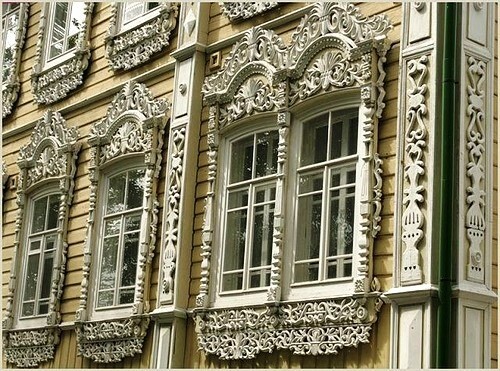 Craft of carving applied in Russia since ancient times. 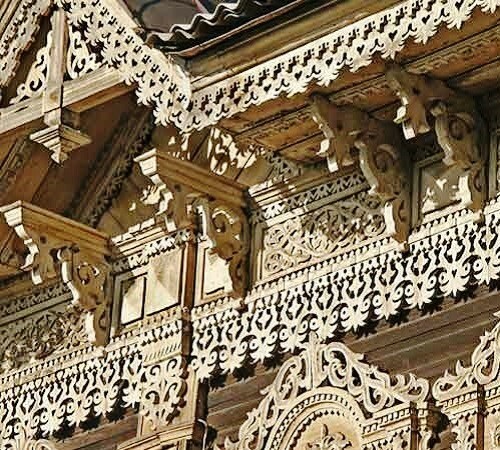 Only a few masterpieces of woodcarving have survived, due to the fragility of the material of which they were made. 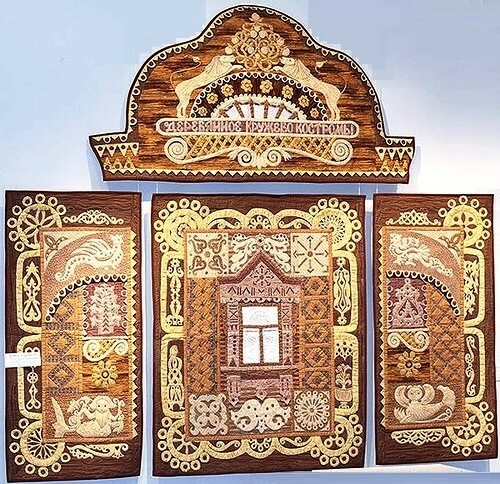 Wood craftsmen and ordinary people decorated their houses with figurines of animals, birds, various amulets, which were passed from generation to generation. 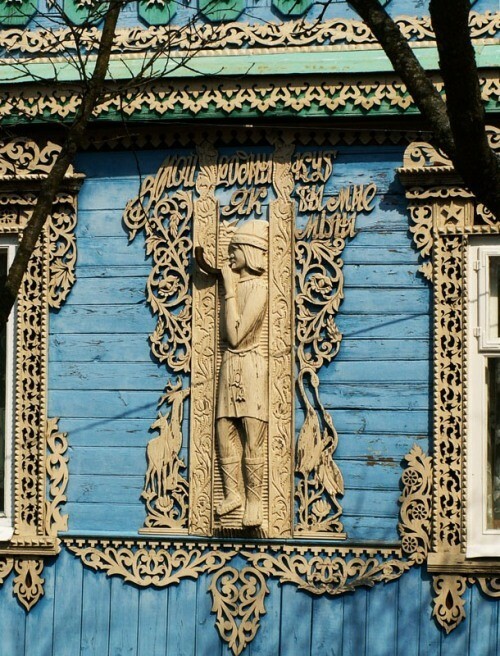 People believed that the wood is a link between the sun and the human. 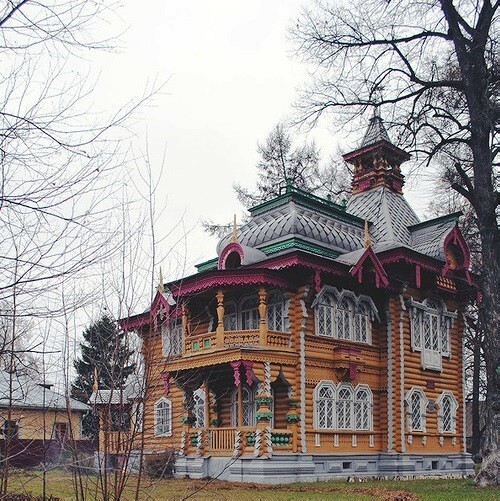 There are several Museums of Wooden Architecture all over Russia, very popular among tourists – in Kostroma, Novgorod, Nizhny Novgorod, Irkutsk, Archangelsk, Ufa, Vitoslavlitsy, Suzdal, Tomsk, and many others. 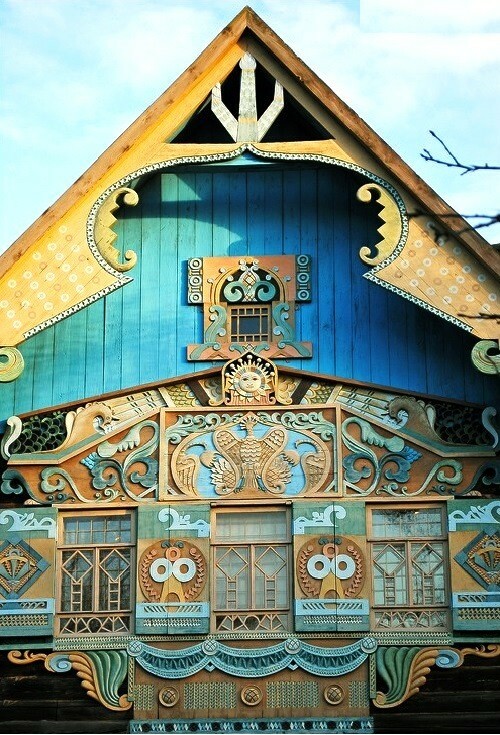 Some Russian cities are truly open air Wood carving museums, such as Siberian city of Tomsk. 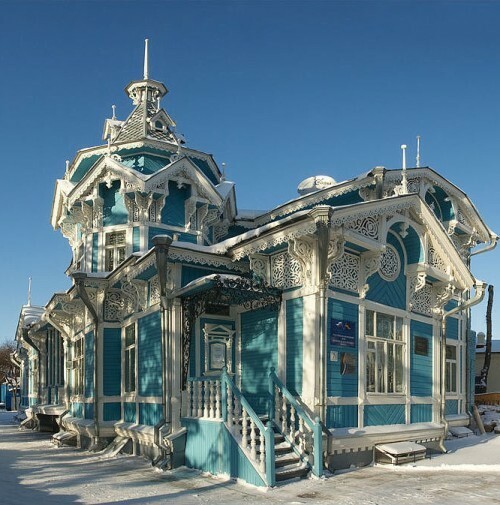 Tomsk, one of the oldest cities in Siberia, was founded in 1604 by decree of Tsar Boris Godunov. 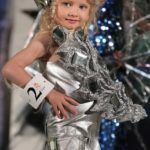 From 1804 to 1925, it was the center of a vast province, which included most of the territory of Western Siberia and Northern Kazakhstan. 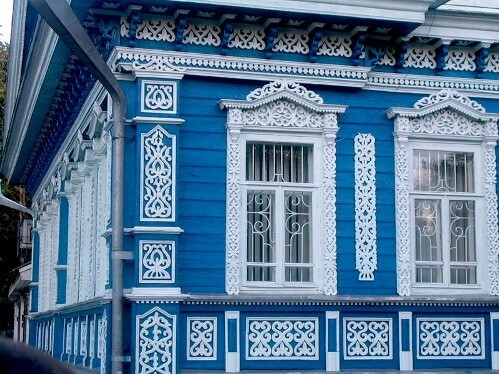 In 1990, by the government decision Tomsk was given the status of a historical city. 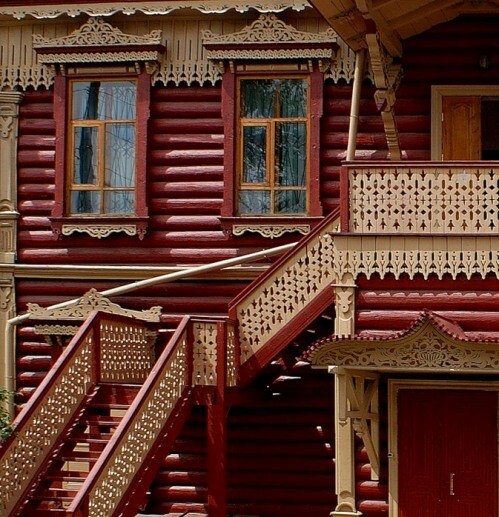 Until the revolution of 1917 Tomsk was built mainly of wood. 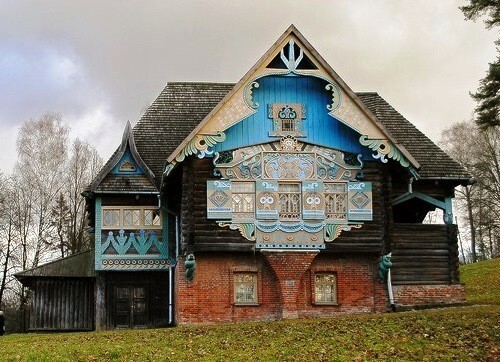 Today beautiful wooden houses from classicism to Ampire mansions can be found preserved from the XVIII century. 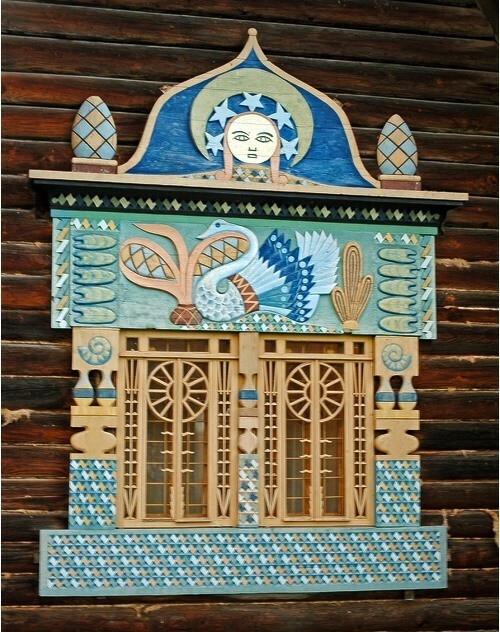 In Tomsk, you can find great on its artistic merits wooden buildings in the style of Art Nouveau. 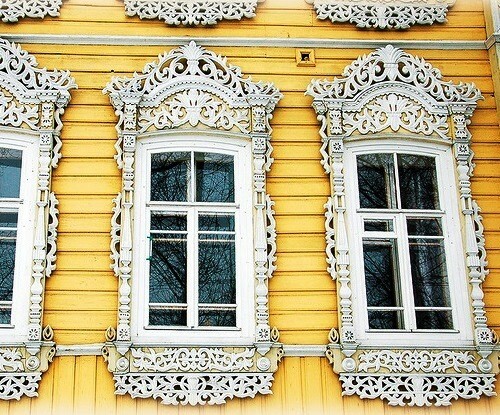 Tomsk authorities two decades ago identified on a map the historic area of about 1,800 wooden houses, and they still work on compiling applications for inclusion complex of monuments of wooden architecture of Tomsk in the list of UNESCO historical heritage. 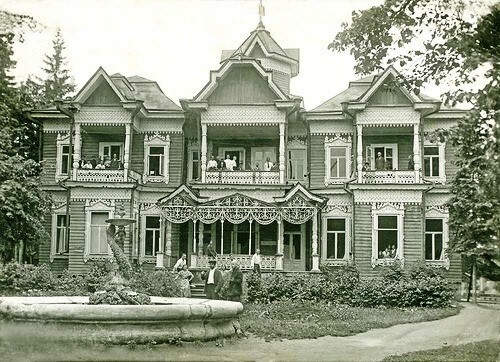 The house built by Ivan Stakheev in Elabuga in 1900. 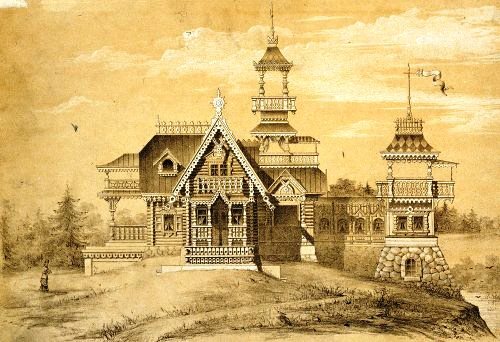 In 1882 the merchants Stakheevs purchased the land for 400 thousand rubles. 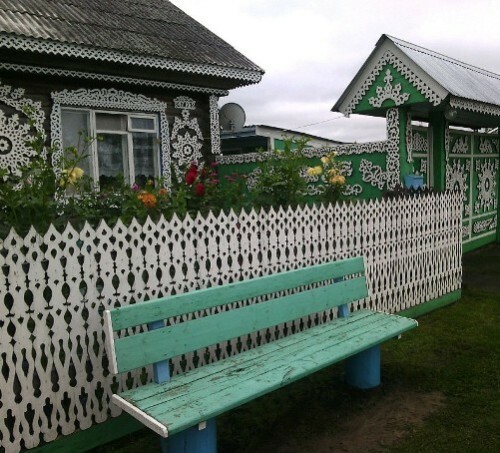 The Staheevs began to build luxury cottage here. 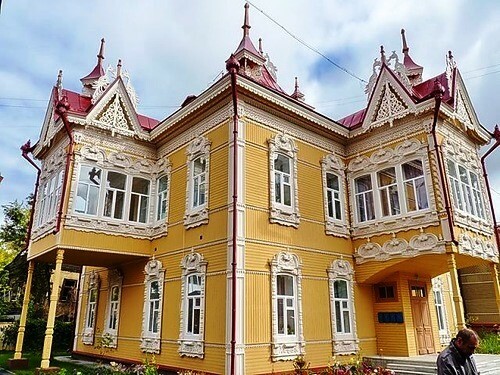 Thus appeared this beautiful two-storey wooden house, occupying 750 square meters with a boiler room in the basement and elegant balconies. 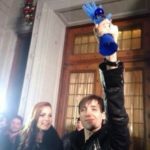 Electric lighting, local drainage, water supply, water heating and padded to the banks of the Kama underpass – was a highlight of civilization in this beautiful area. 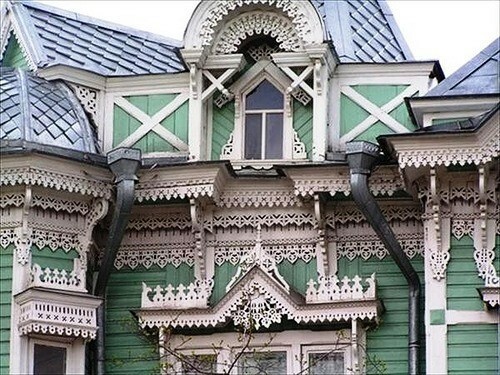 The house had 20 rooms with unusual for local residents, large bright windows. 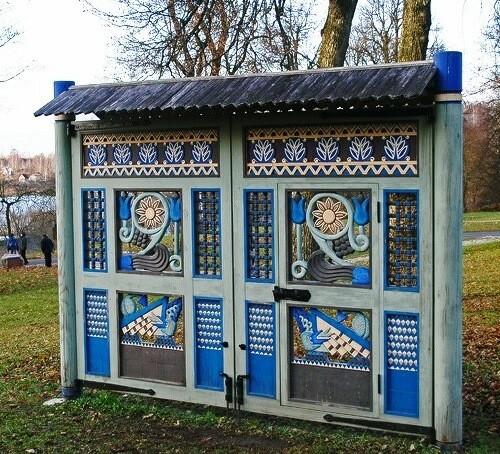 The rooms were elaborately decorated with multicolored ceramic moldings, statues and tiled fireplaces. 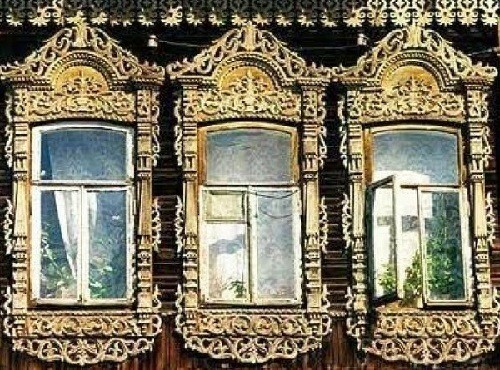 Outside this huge house adorned the finest carving intricate lace of wood. 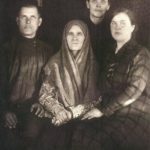 The house had a large garden, consisting of selected varieties of fruit trees, were built four greenhouses for flowers and 11 greenhouses for vegetables and fruits. 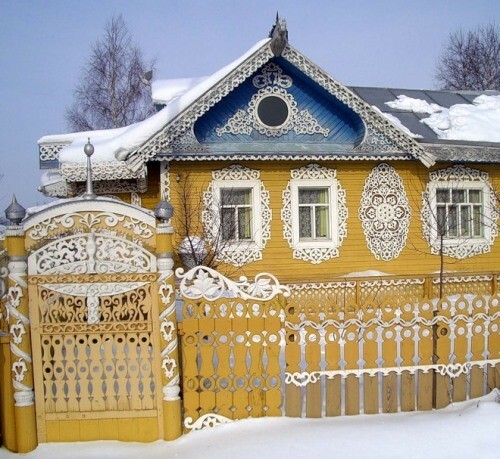 Even in the winter the Stakheevs grew vegetables and strawberries, fresh flowers. 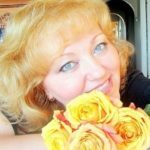 In summer you could eat thermophilic yellow cherries, peaches, see tropical plants – palm, laurel, walnut, lemon, cork, etc. 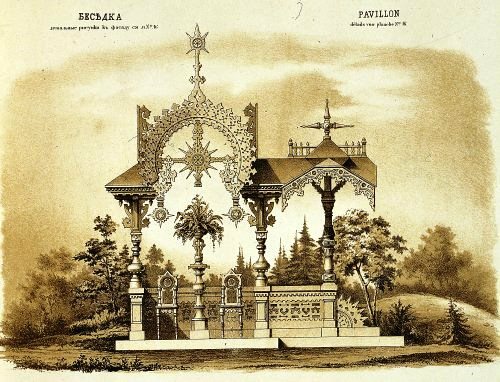 Arboretum of the Stakheevs estate served as an example of acclimatization in our latitudes unique plants. 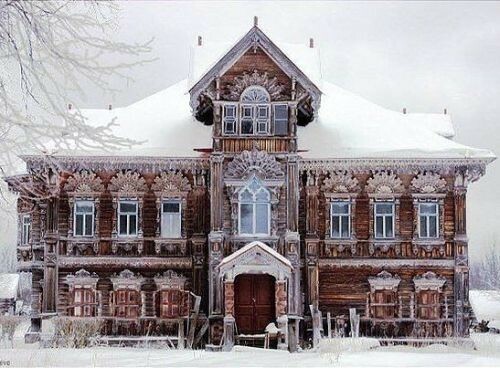 Unfortunately, the building today is not preserved, it burned in 1967.